Israel’s southernmost town, the Eilat tourist resort of 70,000 inhabitants, is now being targeted for missile attack from Sinai every few days. No one has been hurt and nothing damaged – thus far. This time, Iron Dome caught the ball but no defense system is foolproof. The Red Sea tourist resort knows it must prepare for the worst, in the light of the short-sighted policy Prime Minister Binyamin Netanyahu and Defense Minister Moshe Yaalon have adopted i.e., security and intelligence cooperation with Egypt’s presidential candidate and strongman Gen. Abdel-Fattah El-Sisi, in place of direct action. The government’s handling of the Syrian and Hizballah fronts, as well as the negotiations on the future of Jerusalem and the West Bank, show the same pattern of over-reliance on external forces to look after Israel’s essential security concerns. In the space of two years, Israel’s prime minister and defense minister agreed to place the handling of two dangerous terrorist threats in foreign hands. One: It caused Israel to secretly drop – or overlook – the fundamental Sinai demilitarization clause in its 1979 peace treaty with Egypt and allow Gen. El-Sisi to inject military forces into the peninsula to combat the Islamist terrorists overrunning wide areas of northern and central regions and the borders of the Gaza Strip and Israel. The peace treaty was ratified 35 years ago by the Knesset. Any changes should have – but were not – put before the House. For years, the IDF, Israel’s military intelligence and air force consistently rejected all Cairo’s requests to permit Egyptian air force activity in Sinai – even during the Mubarak regime. That restriction was waived last year. Egyptian aircraft and helicopters have taken to bombing terrorist targets and even penetrating Gaza Strip airspace for gathering intelligence. The last Egyptian air strike Friday, Jan. 31 against Islamist terrorist targets in the peninsula was the heaviest ever. 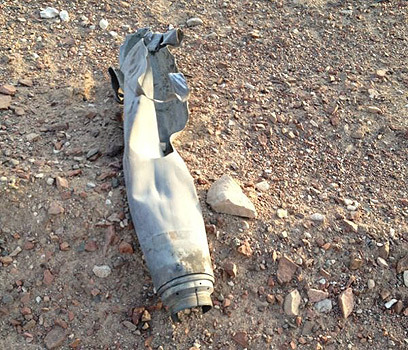 An estimated 60 missiles were dropped on the northern Sinai village of Al-Pitat near Sheikh Zuweid, killing at least 13 Ansar Bayt al-Maqdis fighters and destroying many buildings. Israeli official spokesmen never name this or any other jihadist organization, referring to “global Jihad” – apparently hoping a vague term will diminish the immediacy of the menace. It is therefore important to lay out clearly the true nature of Ansar Bayt al-Maqdis. It is a coalition of Islamist groups and militias led by Abdallah Al-Ashqar which brings together Al Qaeda fighters from Yemen, Saudi Arabia, Libya, Sudan, Egypt and Sinai Salafist Bedouin. Its command structure incorporates the military arms of the Egyptian Muslim Brotherhood, the Palestinian Hamas and the pro-Iranian Jihad Islami. Its most violent element is the virulent Al-Gama’a al-Islamiyya, a veteran Egyptian ultra-radical organization, that was responsible for the assassination of President Anwar Sadat in 1981 for signing peace with Israel. Three years ago, Al-Gema’a terrorists stormed and torched the US and Israeli embassies in Cairo. A year later, on Sept. 1, 2012, the same Egyptian jihadists took part in the attack on the US consulate in Benghazi, Libya, and the murder of US Ambassador Chris Stevens and another three American officials. Both Israel and Washington have systematically glossed over the presence of the deadly Al Gama’a al-Islmamiyya in Sinai, because it would then be revealed as the connecting link between the Egyptian Ansar Bayt al-Maqdis and the Al Qaeda cells operating in eastern Libya, mainly Benghazi and Darnah. Those cells keep the various terrorist groups operating from the Gaza Strip and Sinai well supplied with arms. Seen from the perspective of Israeli national security and strategic interests, a highly dangerous terrorist coalition has sprung up on its southwestern border. Al Qaeda’s affiliates have gained freedom of movement and action across a vast geographic area, ranging from Libya to the Gaza Strip, and furnished with unlimited sources of arms and funds. Two: On Nov. 21, 2012, the prime minister agreed to cut short the IDF’s operation against protracted Palestinian missile fire for the sake of giving US Secretary of State Hillary Clinton a lever for embarking on a complex diplomatic move. The Obama administration was in the throes of assembling a pro-US regional alliance scraped together from a group of Sunni leaders: the Egyptian Muslim Brotherhood’s President Mohamed Morsi (since overthrown), its Palestinian offspring Hamas, Turkish Prime Minister Tayyip Erdogan (currently in league with Tehran) and Qatar’s ruler, Sheikh Hamad Khalifa al-Thani (since abdicated). Safely buttressed by this US-sponsored bloc, the Muslim Brotherhood immediately set about furtively molding Hamas and the Ansar Bayt al-Maqdis into an underground militant arm, ready to snap into action in the event of the Brothers’ ouster for a wave of terror against Egyptian military and government targets. Since his coup against the Muslim Brotherhood last July, Gen. El-Sisi has made the destruction of this terrorist machine his army’s top priority. The Netanyahu government’s proclivity for depending on outside forces to pull its terrorist irons out of the fire left a tempting hole in Israel’s deterrence, which the Islamist Ansar Bayt al-Maqdis terrorists were quick to grasp. Last week, they released a communiqué warning that missiles and other terrorist operations would descend on the Israel enemy for every Egyptian military attack they suffered. The missile fired against Eilat Friday night was the Ansar’s response to the massive Egyptian air strike on its hideouts early that day. Eilat and its inhabitants have been made hostages to jihadist terror against the Egyptian army. Worst of all, there is nothing much Israel can do about it when the missiles are fired from sovereign Egyptian territory. The Israeli Air Force may hope that Hamas can be forced to hold back the rocket fire under the pressure of air strikes, but so far they have not stemmed the new round of rocket fire coming in from the Gaza Strip and the Sinai Islamist terrorists are right out of their range.